VA's Survivors’ and Dependents’ Educational Assistance (Chapter 35) program provides education and training opportunities to eligible dependents and survivors of certain Veterans. NOTE: Counseling is required under 38 Code of Federal Regulations (CFR) 21.3102 when the eligible individual has a disability and may require SRT or SVT. 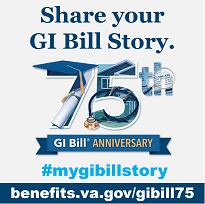 Additional information is available in VA Pamphlet 22-73-3, published on VA's Dependents' Educational Assistance webpage.